Sie möchten sich mehr an der frischen Luft und in der Natur bewegen? Fit & aktiv werden – fit & aktiv sein – fit & aktiv bleiben! Dann sind Sie bei Outdoor Fitness genau richtig! 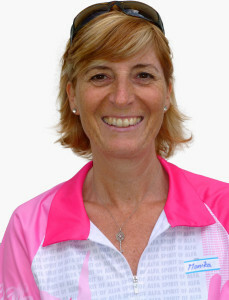 Aktiv seit 2006 – Monika Schweizer bietet Ihnen Fitness Kurse in der Umgebung Zürichsee an: > Mutter & Kind Aktivität, > Nordic Walking, > sving® und > Stand Up Paddling. Nordic Walking mit Kids – ganz villä herzliche Dank! Ich han die wunderbare Waldstunde mit dir sehr gnosse. Danke für dini asteckend Freud & Motivation. A viilne Ziischtigmörge wär ich ohni dis SMS und dis Agebot eifach nochli dehime bliebe und hät so die einmalige Moment ide Natur verpasst. Ich han’s lässig gfunde (… und natürlich immer no 🙂 ) mich i dere Gruppe chli körperlich s’bewege und gliichziitig ustusche. Ganz villä herzliche Dank! Freui mich uf es Wiederseh! Nordic Walking with Kids – I thought of sending you this note to express my gratitude for the wonderful Nordic walking class that you’ve made available for new moms. My 4 month old son Niko and I enjoy it very much every Tuesday. Monika is a great, inspirational instructor and not only provides us with excellent physical training but also encourages a very nice social moment which had allowed me to meet other moms and make friends, which in my case was very important as we moved to Thalwil in January. I believe it is a great privilege to be able to get back in shape with activities like this. I have lived in many places including New York and Paris and never seen nor heard moms have this amazing opportunity.